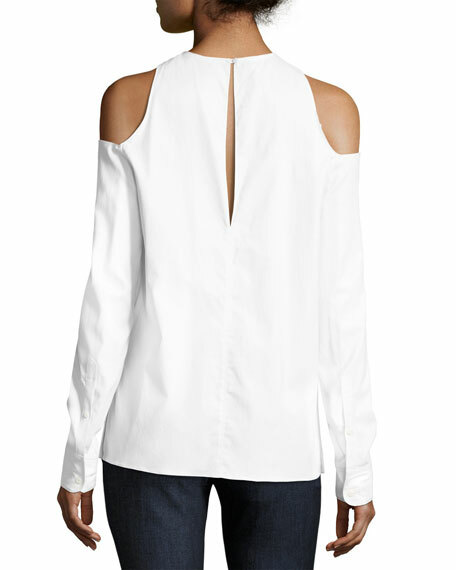 Rag & Bone "Collingwood" cold-shoulder poplin top. 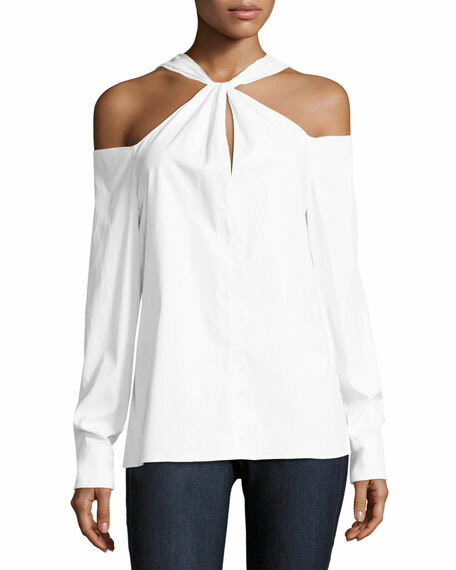 High twist neckline; center keyhole detail. Extended keyhole cutout with button closure at back. 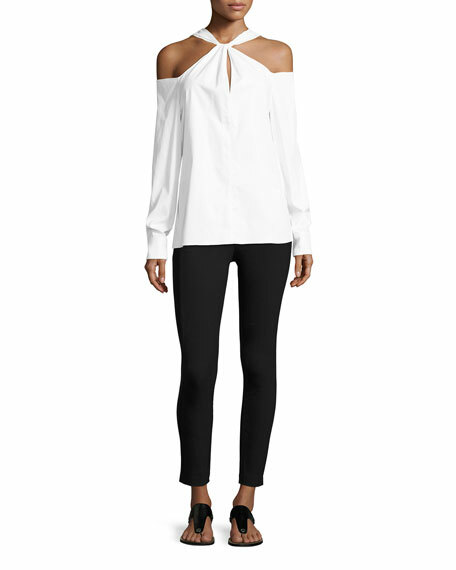 For in-store inquiries, use sku #2179212.